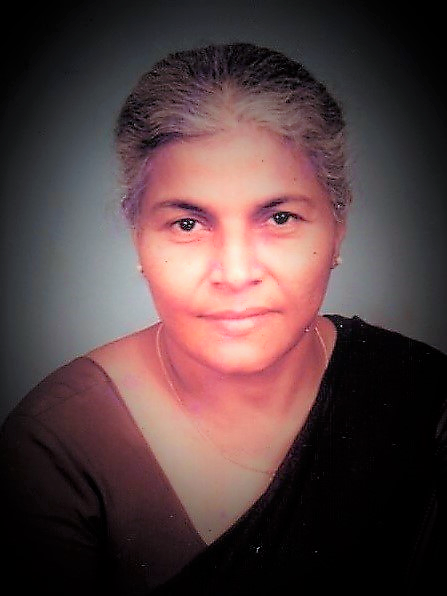 Rebecca Verghese, age 81 of Bensalem, Pennsylvania, died peacefully at Chapel Manor Nursing Home, Philadelphia on Saturday, January 12, 2019. She was the fourth of six children born to the Late Mr. P. G. Varughese and the Late Mrs. Fellam Varughese (Parambil, Puthencavu, Kerala). Rebecca, is preceded in death by her loving husband Mr. C. T. Verghese (Chunakara, Mallappally, Kerala) who passed away in 2009. She is survived by two children: Thomas Verghese (and his wife Anitha), George Verghese (and his wife, Shyla); four grandchildren: Sasha Jacob (and her husband, Don), Susie Thomas (and her husband, Sunil), Verghese George (and his wife, Ann) and Sidney Verghese. Rebecca will be remembered by those closest to her for her amazing personality, her sacrificial life always serving those that needed help and her limitless love for her family and friends. A viewing and funeral service will be held Saturday, January 19, 2019 at Christos Mar Thoma Church, 9999 Gantry Road, Philadelphia, PA 19115 beginning at 9:00 AM. Interment will follow at Rosedale Memorial Park, 3850 Richlieu Road, Bensalem, PA 19020.